Searching for best loan apps in Ghana? Did you want to get loan from instant loan firms in Ghana,Perhaps to kick of your business, Pay bills, settle debt or do other things? If Yes this article will surely help as it contains some top list of Loan apps and firms in Ghana to get Quick loans without collateral. Being an Entrepreneur, is certainly a lot to handle. Nowadays, many entrepreneurs and small business owners out there find it difficult to set up and maintain prospective businesses. Lack of adequate funding or capital in terms of business loans has being a reoccurring cause for constant worry and distress. In past times, what seemed to be the solution in the form of getting loans from banks or supposed micro-finance firms has becomes very complicated, demanding and frustrating processes. Hence, entrepreneurs and small business owners find it difficult to comply with their excessive policies and unreasonable demands. In this modern era, obtaining a loan has never being easier and faster. With the rise of technological advancement, there has being a rapid increase in the number of online lending platforms and agencies that help business owners secure quick and easy loans for their various businesses. Thinking of getting a loan for your business? You’ve come to the right place. Below is a comprehensive list of the Best and Top Loan Apps in Ghana that gives you instant and quick loans. Therefore we say your search for instant loan apps in Ghana definitely end here. While some of these platforms renders their money lending services in apps others does their lending via websites and some goes via websites and apps. They are sub-divided into online loan apps and online lending firms or websites. In which ever way, The below lists of apps and websites will help you get instant loans in Ghana. Below are some of the best loan apps in Ghana to get instant, Quick, and emergency loans in Ghana without collateral. Fido Money Lending Limited, is a very popular and well-known financial institution in the whole of Ghana. It is one of the most secured online lending firms registered and authorised in Ghana. Not only is it a secure platform, it also offers one of the fastest and easiest method to obtain loans. You could literally obtain as much as GH¢ 200 – GH¢ 600 within minutes. Obtaining loans through FIDO is with the use of their mobile app that allows you to fill a loan application form and get your desired funds within minutes. There are no hidden charges whatsoever, it’s extremely fast, easy and reliable. Download the FIDO App via Google Play Store. Identification Details which includes; Voters ID, Passport, National Identification Card or Driver’s License depending on the one readily available. This Online Lending Platform is only eligible to citizens of Ghana and above 18 years of age. PayLater is a popular online lending platform that offers short-term loans to individuals and business owners. Apart from it’s popularity in most African Countries, PayLater takes money lending to the next level. PayLater has utmost value for their customers. In order to achieve this feat, they provide unbeatable customer support via in-app live chat with their customer service team or through emails. First, download the PayLater Mobile App via Google Play store. After installation, you would be required to fill an application form to provide some basic personal information about yourself. Upon submission of application form, your application would be reviewed. Immediately your application is reviewed and approved, you’ll get an automatic transfer of funds to your account within 5minutes or less. With PayLater, you can get access to huge amount of loans with no collateral guarantors or unnecessary paperwork. It’s also fast, easy and reliable. PayLater loans are short-termed loans and is not suitable to use this platform if you intend to service long term loans. 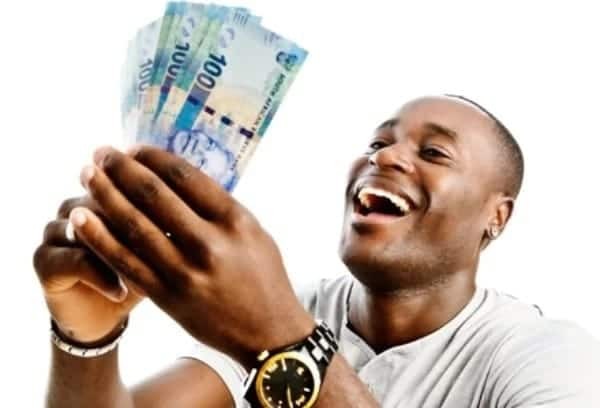 Whenever you repay loans on time or before the due date, you increase your chances of receiving higher loans and also reduce the interest rate on your next loan. Aella Credit is also a leading online lending platform for Africans. They make it easy for business owners and individuals to obtain loans all over Africa. Aella Credit prioritizes lending of funds to entrepreneurs, business owners as well as providing necessary resources for empowerment. They work hand in hand, with multiple affiliated credit bureau agencies all over Africa, to ensure that they provide quick and easy funding with no paperwork attached. Lending power or creditworthiness of it’s users is determined by a proprietary credit scoring system which was developed after extensive study and analysis of market data for 5 consecutive years. Just like the various loan apps in Ghana listed above that provide quick and easy loans, there are also many loan websites or firms in Ghana that also provides instant loans. MTN QwikLoans is a fast and easy way MTN users in Ghana, can obtain loans using their mobile phones. MTN QwikLoans provide instant and convenient access to loans without unnecessary paperwork, rigorous policies and collateral guarantor. With MTN QwikLoans, you can obtain as much as GH¢ 1000 anytime and anywhere, with just the use of your mobile phone. This service is only for MTN customers who are above 18 years of age. The beneficiary must be an MTN User in Ghana for a minimum of 90days. The beneficiary must be registered on MTN Mobile Money Service and actively use this service for transactions which includes; paying of bills, transfer of money and others. Non-active users of MTN Mobile Money may not be able to qualify for obtaining loans via Mtn QwikLoans. This Service is only available for active users of MTN Mobile Money Services in Ghana. QwikLoans has a loan period of 30days. You can only apply for loans if and only if previous loans have been repaid. Grofin is one of the leading online lending firms that offers loans to entrepreneurs, small business owners and medium enterprises in order to aid in financing of their businesses or projects across Africa as a whole and the middle east. Grofin not only provides funding, it also provides business supports for both entrepreneurs and investors looking to make investments in potential businesses. Cash Ghana Limited provides instant loans and funding not only to entrepreneurs and business owners, they also provide adequate loans and funding for students. If you’re a student looking to take loans for rents, school fees, medical bills or urgent expenses rest assured that Cash Ghana Limited, got you covered. The reviews and comments given by existing customers are enough to eliminate any atom of doubt you may be having about Cash Ghana Limited. This is a prestigious lending institution that has being operational for over 10 years in Ghana, with branches across various states. It is a non-banking financial institution duly registered and authorised by the Bank of Ghana. Loans are usually given to government and informally employed workers. UniCredit Ghana, offers personal loans for all salaried workers. The aim of UniCredit Ghana, is to provide credit and deposit deliver services to various individuals, entrepreneurs and small business owners. They also help savers and borrowers improve on the quality of their lives through wealth creation and massive financial backing. With UniCredit Ghana, one can obtain loans within the range of GH¢ 500 – GH¢ 100,000. The offer a loan period of about 2 years (36 Months). Loans are available to both account holders and non-account holders of UniCredit. Every individual with various reasons for obtaining loans. Among all, below are some of the common reasons why people take loans. Real Estates and Car Purchases: Yes you can loan money to buy a car or real Estates. You can buy private or business vehicles with loan funds with the hope of paying back gradually while you use these purchased items to fasten your business the more. Or create ease living. Pay bills: People also take loans to pay bills. Sometimes the money you’re expecting don’t just come quickly and your exams are almost near. Now you need to pay your school fees. You can also take loans in such instance with the hope to pay back when you get your expectations. Besides that people also take loans to pay house rent and other bills. while your business earn you money, you can then clear your debt. For emergency: In a situation like this you don’t plan to take loans, but along side something happens so you have no option than to take loans to fix things and make them work. People do take loans to pay hospital bills and other related. such loans are emergency. Every loan firm out there, has it’s own pros and cons just do an extensive research, read their terms and conditions while choosing to ensure you are aware of their full operations before applying for a loan. I hope this extensive list would guide you in making the right choices when choosing a loan firm to obtain loans form.